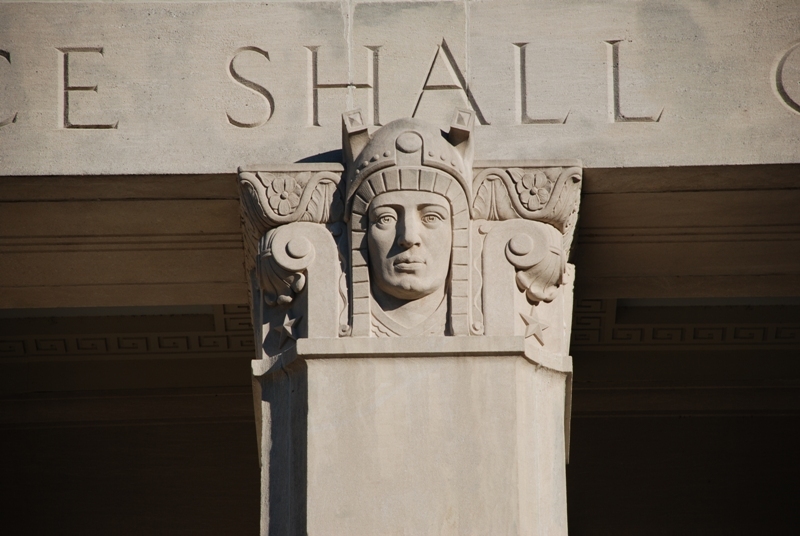 Home › Architectural Research › War Memorial Building’s Mystery Faces Revealed? 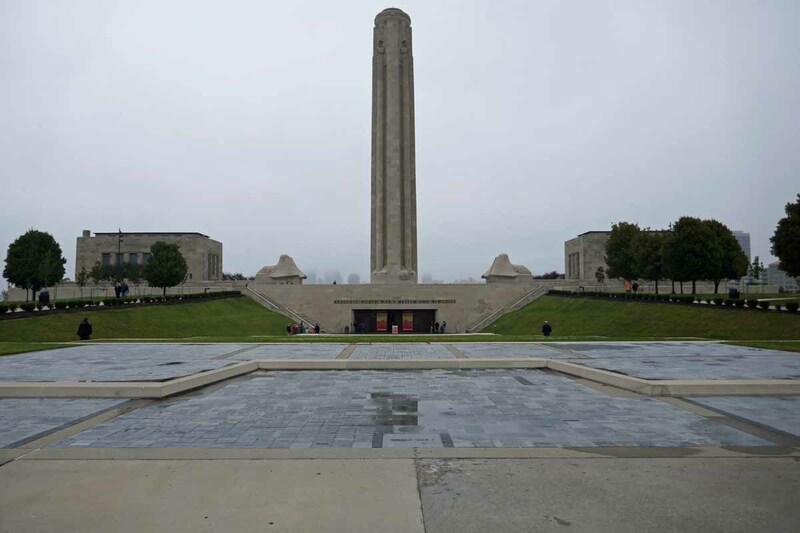 One cold misty fall-like day recently, only a month or so before the centennial of the end of World War I, I happened to be in Kansas City for the first time and decided to go to the national World War I museum located, appropriately enough, at the Liberty Memorial, the largest monument to the “War to End All Wars” in the country and a National Historic Landmark. 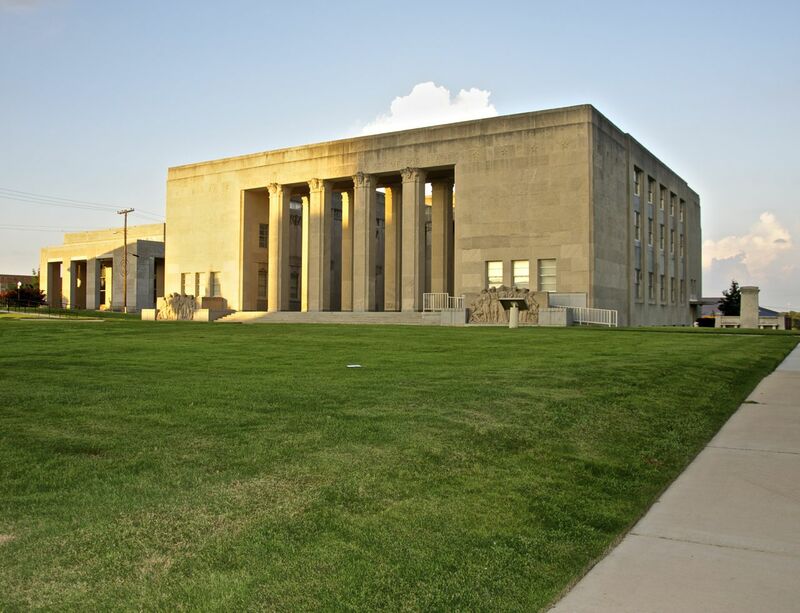 Like New Orleans with its national World War II museum, Kansas City decided in the 1990s/early 2000s that they would have the country’s World War I museum, and it’s a good one. But that’s not what my post is about today. 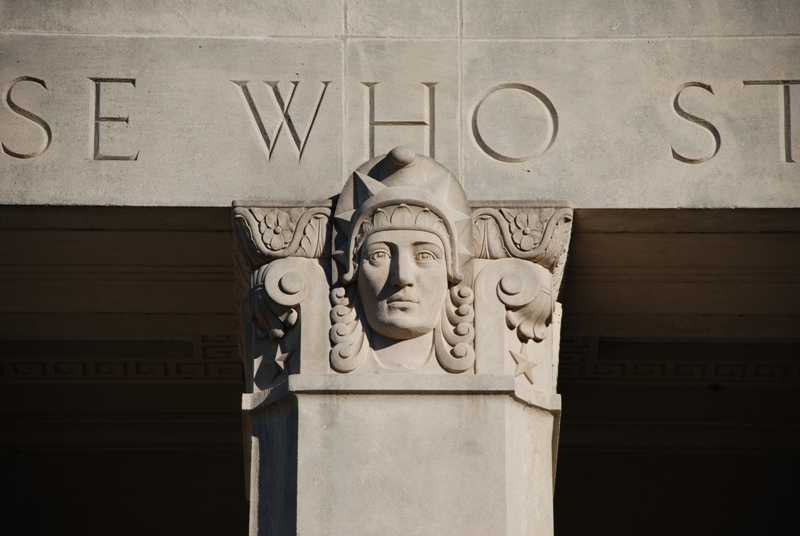 In that post, I noted that the four faces used as capitals on the front colonnade of the War Memorial Building were different from each other, seemed to be in military garb, and didn’t seem to have any classical precedents that could be found. 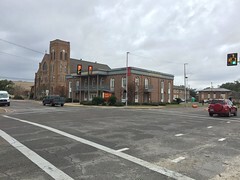 Further, the capitals–presumably the work of New Orleans sculptor Albert George Rieker, who completed the sculptural groups in front of the building–aren’t mentioned in any contemporary newspaper articles or descriptions of the building I’ve read. 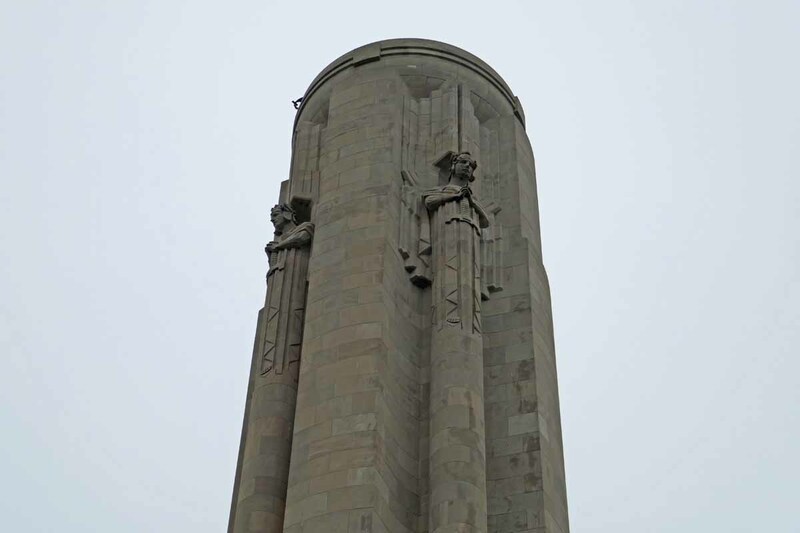 The four giant guardian spirits, surveying the four corners of Kansas City from the top of Liberty Memorial’s towering shaft, are the product of collaboration between architect H. Van Buren Magonigle and the acclaimed American sculptor Robert Ingersoll Aitken. Magonigle’s original designs for Liberty Memorial called for slender, feminine spirits with organic, feathery wings. Aitken reinterpreted the architect’s figures, sculpting them in heroic postures with hands clasped over mighty swords. The swords signify the spirits’ role as protectors of peace, not as warriors. 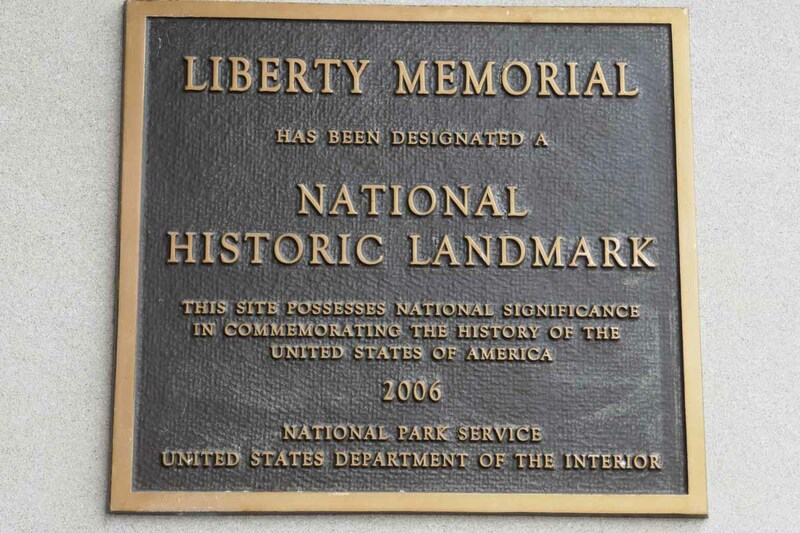 I don’t have any proof that architect E.L. Malvaney or sculptor Albert Reicker visited the Liberty Monument, but on the other hand, it is possible one or more of them had before designing these capitals. 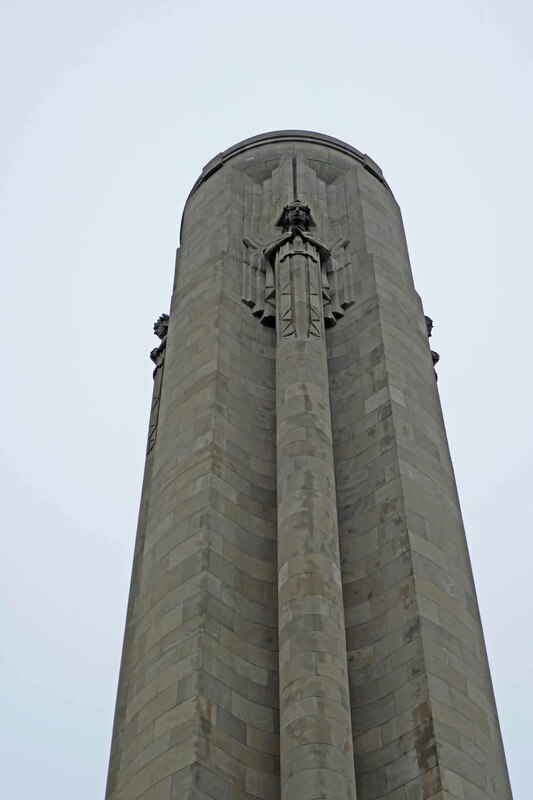 Presumably, as part of their preparation for working on such a building, they would have at least gathered published material about other Great War memorials? 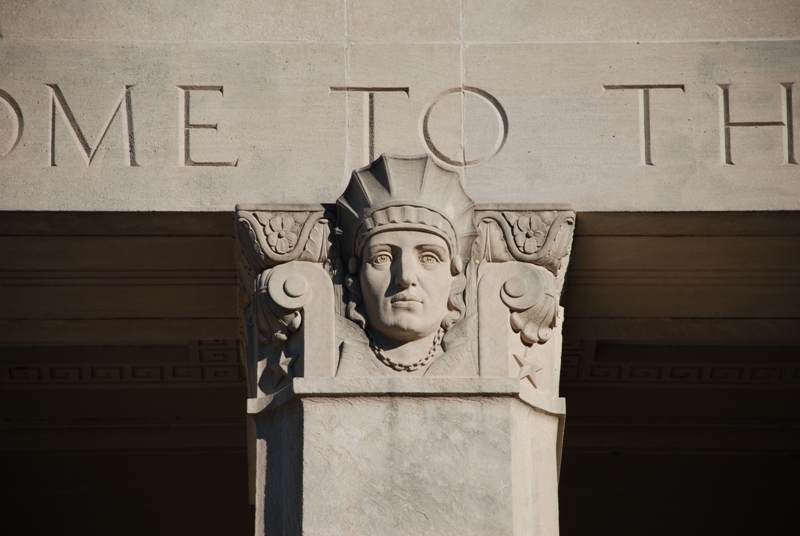 Although Mississippi’s four faces aren’t identical to those on the Liberty Monument in Kansas City, could the “guardian spirits” provide clues to understanding our mysterious capitals? 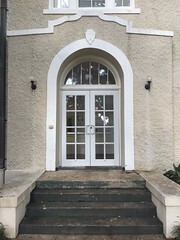 More about the War Memorial Building . . .
Who are these people and why are they staring at me?? 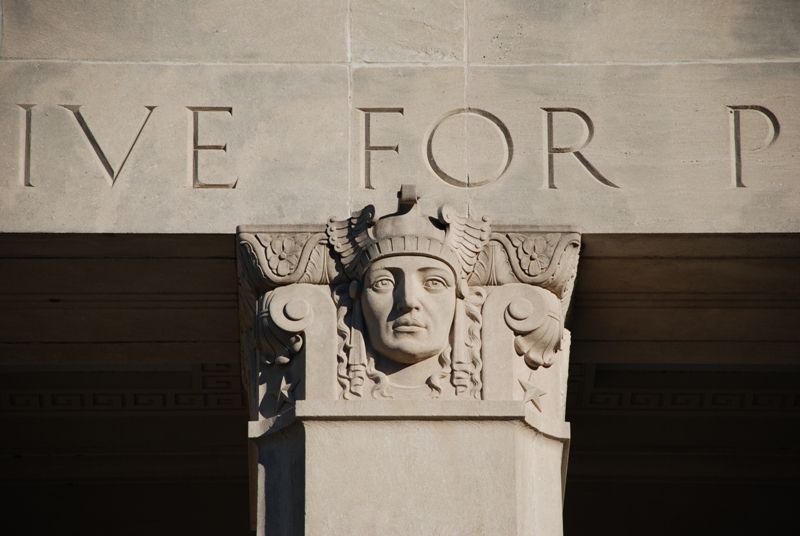 The Soldier’s Memorial in St. Louis from 1936 also has four sculptures symbolizing; Loyalty, Vision, Courage & Sacrifice. 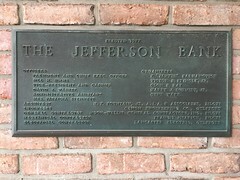 Sculptor was Walter Hancock. Thank you for bringing back a childhood memory. My Wilkins Elementary School got to perform/sing (mid 60s) in auditorium located at rear of building. Another great informatative story from this site. interesting post, as usual. 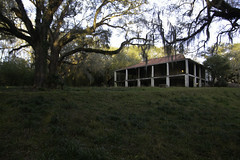 certainly, many of us ‘regulars’ on this site, readers or contributors, know this building. maybe the answers to these questions will emerge. have been invited to k c many times by friends there, but have yet to go, unfortunately. a lot to see in both cities, kc kansas, and kc, mo. some good food there, i ‘ve heard! 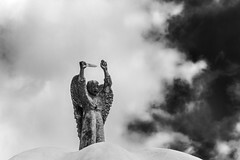 Photo Collection of WWI German war memorials by Russian photographer. None of war memorials done by Theodore Bilbo’s sculptor, Fritz Behn, is included in this selection. 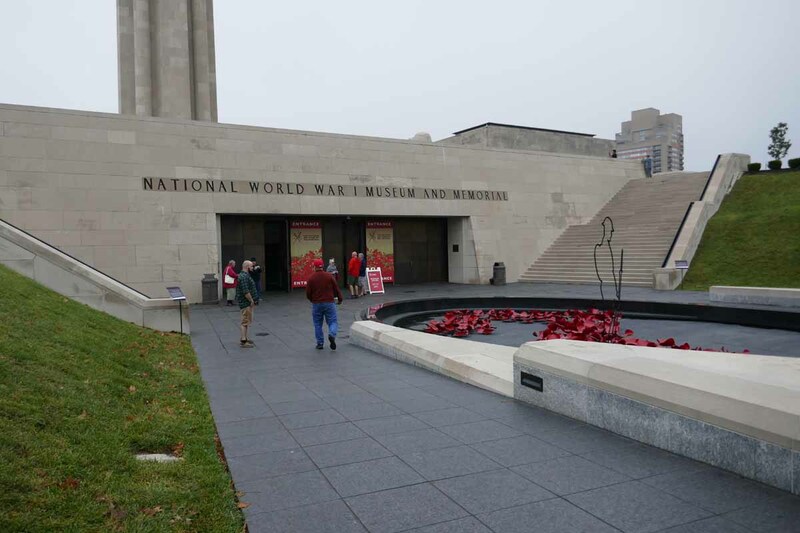 I am wondering when the paved sidewalks that were originally in the lawn that sits before the War Memorial were removed, and with what reasons. The lawn is now just a large rectangular patch of grass. Do you have any information in regards to this? Thanks! Hmm, I vaguely recall those. 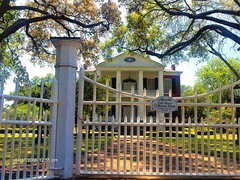 Were they removed when the iron fence was put back across the N. State front when the Old Capitol was re-restored after Katrina? c.2009?